TOLEDO, Ohio, October 11, 2018 – SSOE Group (www.ssoe.com), a global project delivery firm for architecture, engineering, and construction management, announced today the appointment of two new Principals, effective January 1, 2019. 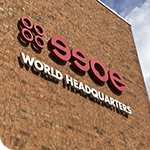 SSOE’s Board of Directors named Jens Ebert and Brad Rowe as principal owners of SSOE. Jens Ebert, PE, PMP, is a Division Manager for SSOE’s Food and Consumer Products business unit. He started with SSOE in 2010, and has more than 28 years of experience in the consulting engineering business. This includes more than ten years as a process / project engineer providing design solutions for a wide range of industrial, manufacturing, and food / beverage projects. Many of those projects resulted in products that were new or unique in the marketplace. Jens previously held account management responsibilities for a multi-million dollar client while managing a department of project managers as well as leading his own projects. In 2013, Jens Ebert was selected to lead SSOE’s Project Management Strategy Group (PMSG). This was based largely on his individual credentials in project management, but also due to his willingness to take on a challenge and his passion for continuous improvement initiatives. His efforts were rewarded in 2016 with a Leadership Award for his PMSG leadership and superior account management. Jens earned a Master of Science in Project Management from Pennsylvania State University and a Bachelor of Science in Mechanical Engineering from the University of Minnesota, Twin Cities. He is also a registered Professional Engineer (PE) in the mechanical discipline and has a Project Management Professional (PMP) certification. Brad Rowe, CCWP, is Manager of SSOE‘s Mexico Operations. Brad joined SSOE in 2011 as the HR Business Leader, Talent Acquisition and Staffing, bringing extensive recruitment experience in the AEC industries to the firm. In that role, Brad was responsible for building SSOE’s talent acquisition team, managing global talent acquisition, recruitment, sourcing, and employee integration activities for the company. In 2015, Brad was promoted to Director, Talent Acquisition, taking on the additional responsibility of leading SSOE’s International Human Resources team. Brad has worked to build the firm’s recruitment brand and participated in SSOE’s core due diligence and integration teams on four recent mergers and acquisitions. As part of SSOE’s international expansion, Brad helped establish SSOE’s Mexico operations and office in 2014. He has served as a member of SSOE’s Management Team since 2015 and recently competed a two-year term as a Sr. Associate Board Observer. In SSOE’s performance year (PY) 2018, Brad took on oversight of SSOE’s Mexico operations while maintaining his role as Director of Talent Acquisition—in his first year of leadership, Mexico enjoyed a very successful year. In addition to the in-country growth of the Mexico office, Brad has also been instrumental in the development of SSOE’s Global Workforce Optimization (GWO) strategy. In PY 2019, which started October 01, 2018, Brad transitioned to a full-time Mexico Operations Manager. 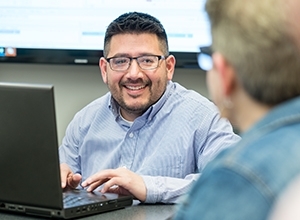 Brad received his Bachelor of Business Administration in Marketing from The University of Toledo in Ohio and earned his Certified Contingent Workforce Professional (CCWP) certification in 2013. He currently sits on the Northwest Ohio Center for Excellence in STEM Education Ambassador Advisory Board, is actively engaged with The University of Toledo’s College of Business Administration and College of Engineering, Bowling Green State University, and Toledo Public Schools. He is a member of the Northwest Ohio Human Resource Association (NOHRA) and the Society for Human Resources Management (SHRM).